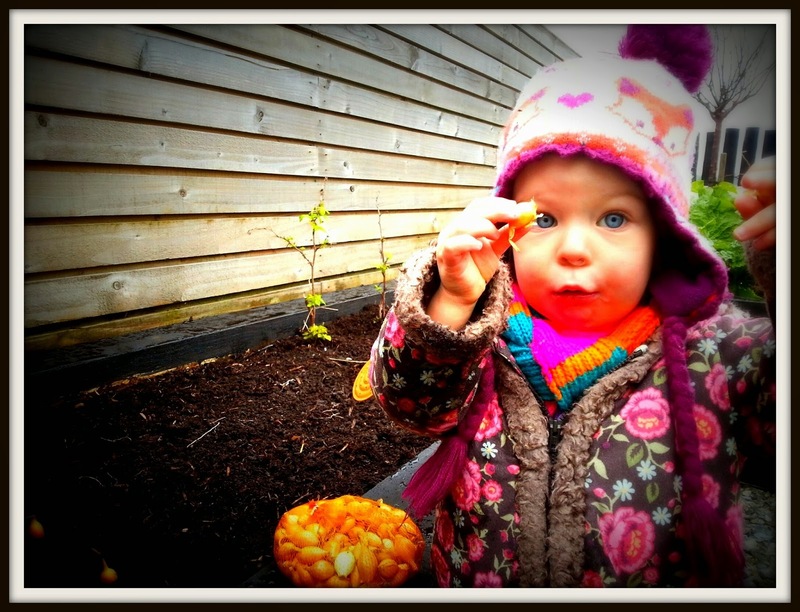 Lulu's Garden: Do You Know Your Onions? I love onions, I especially love them in my Mummy's stovies. We always grow loads of them in our garden and now is the perfect time for planting them. So rather than feeling all smug I thought I'd help you grow loads too. Look how teeny tiny this shallot is! You can grow them from seed or from immature onions called sets. Sets are easier to grow but fewer varieties are available as sets. So if you want to grow something a bit more unusual then you'll have to grow from seeds. Your sets might be marked as "heat treated". This just means they've been sitting somewhere lovely and warm for up to 20 weeks (kinda like an extended holiday). Heat treatment makes for a bigger yield as the time the onions will grow before "bolting" and becoming unusable gets longer. So it's a good idea for beginners to use heat treated sets. Onions prefer open, sunny and light, free-draining soil. So you might need to dig in some organic matter to help drainage if your soil is really heavy. Don't plant onions in freshly manured soil though as you'll just end up with very pretty and luscious green leaves but small bulbs. They also don't like acidic soil so you might need to add lime to planting area well before planting. If growing from seed, sow the seeds 1/2 an inch deep in rows that are 10-12 inch apart from late February to early April. Thin the weaker plants to 4 inch apart. If you're using sets then you can plant these from mid March to Mid April. Place the pointed end of the sets down into the soil so only the bottom part is covered. Space the sets 4 inches apart with rows 10-12 inches apart. Water when weather is dry and give an occasional feed with a general liquid fertiliser. 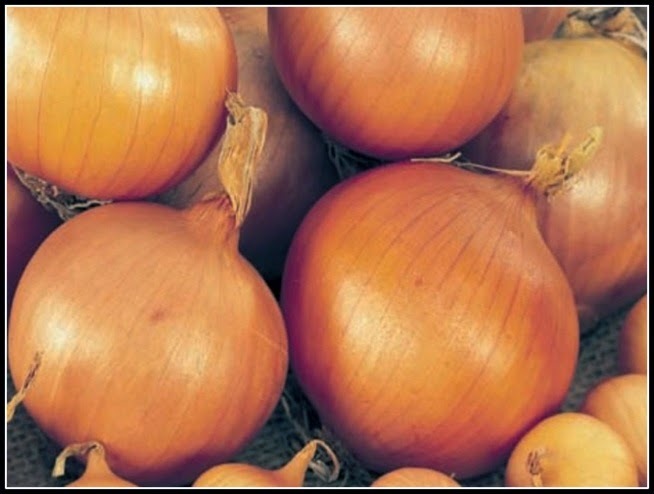 Stop feeding from July to help prevent onion neck rot during storage. By planting your onions in a grid you make weeding easier as you can just hoe in both directions. Like me, onions don't like competition for water so weeding is essential. Several yucky fungal diseases can cause problems. Rust disease produces rusty spots on both sides of leaves and reduces crop growth. No cure so you need to lift and destroy the crop. Onion white rot causes the leaves to turn yellow and wilt and bulbs will have white fuzzy growths. Again no cure, you need to lift and destroy the crop. Onion fly also cause leaves to yellow and prevent bulbs from developing properly. The fly larvae live in the soil and burrow into the bulb roots. Discard any affected bulbs. Onion downy mildew also causes the leaves to yellow from the tips down and white mould develops on the affected leaves. Remove and destroy any affected bulbs. Onion neck rock can occur during storage. To help prevent it, stop feeding from July, keep watering and don't let the bulbs get wet after harvesting. Lift the onions as soon as they reach a useable size (normally between July and September) to use immediately. If you wish to store them wait until the foliage dies down naturally and then 2-3 weeks later you can lift them. 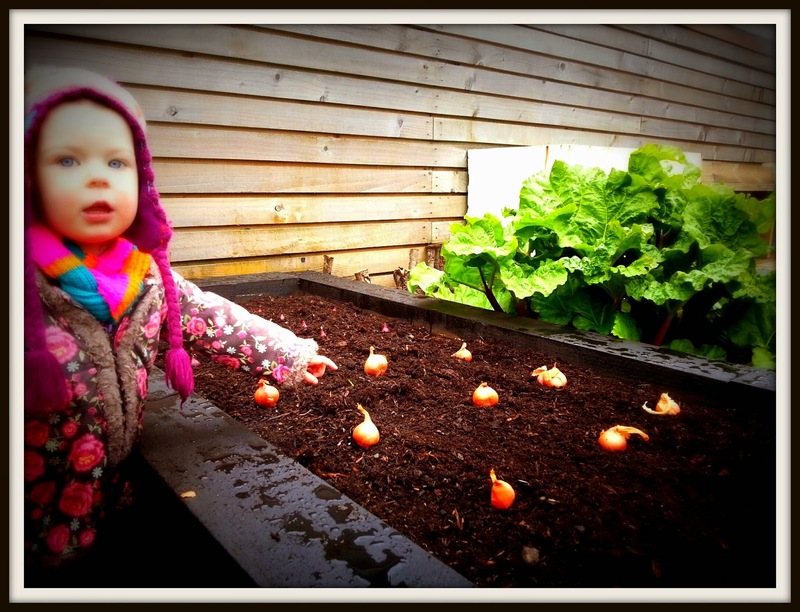 Ease the bulbs up onto the soil surface and allow to dry there for another 2-3 weeks. If weather is a bit wet, dry them in a well ventilated shed or greenhouse. Once the skins are completely dry they can be stored in a light, cool, well ventilated place. 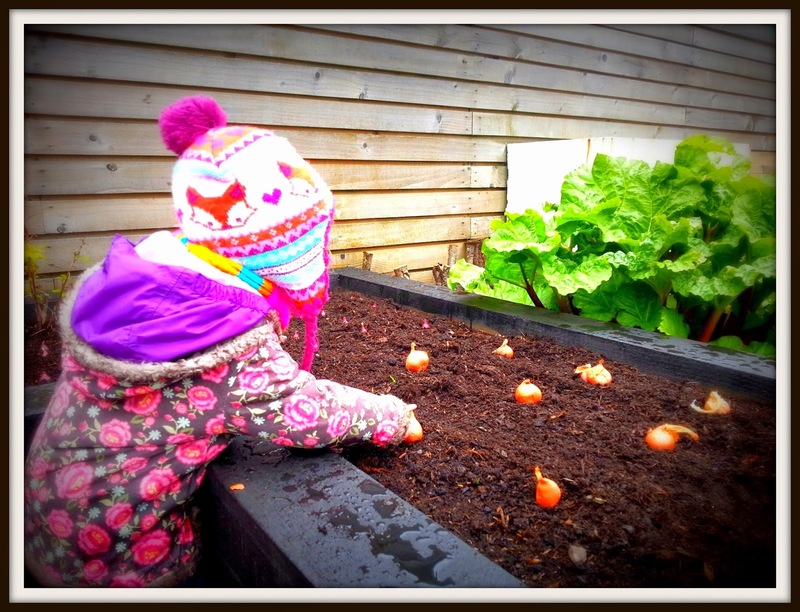 Mummy and Daddy like to grow Sturon brown onions and Red Barons are our red onion of choice. We also grow "Golden Gourmet" shallots. The brainy people at Which? have done a trial of load of different types of onions to see which grow the most and biggest onions. 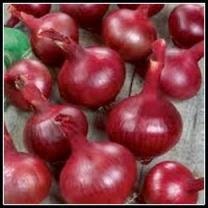 "Centrurion" was the best buy brown onion and "Fen Red" the best red onion. Both gave more than 3kg of onions from 30 sets. Other good options were "Autumn Gold", Turbo and "Red Arrow". 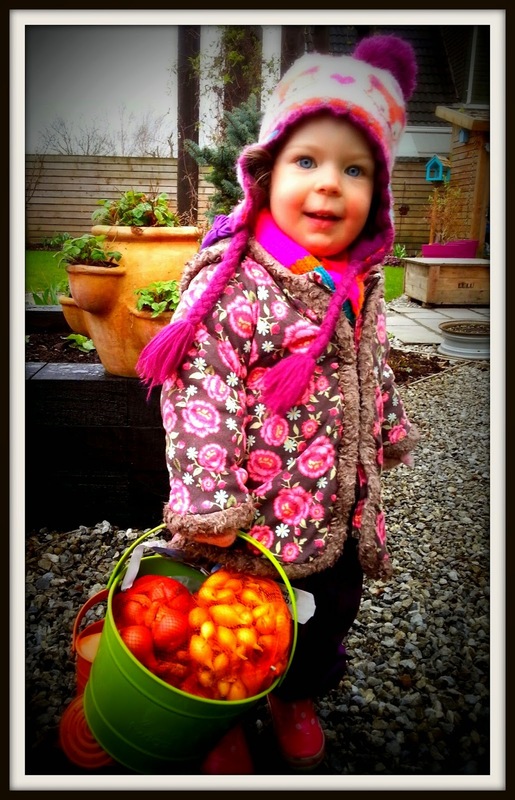 So let's get planting so we can all make yummy stovies come the autumn!